14204 Wakefield Pl Louisville KY 40245 is a wonderful 3 Bedroom home on a beautifully landscaped cul-de-sac lot in Lake Forest! The front entrance opens to a welcoming Foyer which leads to the Formal Living Room with natural light and crown molding accent. The Formal Dining Room is spacious with decorative chair rail & crown molding. The Eat In Kitchen displays hardwood flooring, plentiful cabinetry, recessed lighting, and kitchen dining area. The Family Room is cozy with a brick gas log fire place with elevated hearth, vaulted ceiling, and skylight. The Family Room also accesses the back deck. The large Master Bedroom includes a private Master Bath with long vanity & tile flooring. The other 2 Bedrooms are good sized and close to a Full Bath. 14204 Wakefield Pl Louisville KY 40245 has a wonderful walk out finished lower level showcasing another Family Room with recessed lighting and a kitchenette. There is also a guest suite complete with its own Full Bath. The very deep two car garage includes a small workshop, and an oversized storage room with shelving connects to the garage. The back of the home is nicely landscaped with a partial privacy fence and deck with hot tub and exterior grill hook up. The property backs up to over ten acres of dedicated green space that is owned by the Lake Forest Community Association. The current owners replaced the natural gas furnace and AC system since purchasing the home. Residents of Lake Forest will enjoy access to the neighborhood Tennis Court, Pool, Clubhouse, and Fitness Room. Call 502-371-1173 today to schedule a private showing of this lovely home in Louisville! 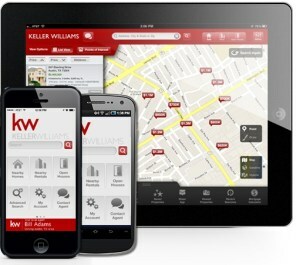 We now have a brand new Real Estate Mobile App! At Home in Louisville has just released a Real estate mobile app that allows you to search for any home available in the US. To get started, simply click here on At Home In Louisville's Mobile App or on the picture on the left and you are on your way. Once you get the app and open it up, the search happens automatically. The search results, by default, are based upon where you are standing with your mobile device. You can see all the homes and land currently for sale in a radius around you. You determine how far of a distance you want your results to be. You can also define your search by what you want to see. For example, you can set the results to show you only the price range of the houses you want to see. The results are displayed on either a map or a list display. You will see a picture of the house, as well as basic details about the property and how much the property costs. If you want more information about the house, you just click on the photo. Once you click on it, more information pops up and additional pictures become available. if you have more questions about the property or you want to go see it, you can call text, chat or e-mail us right there in the app! This Real Estate Mobile App is great. We really think you are going to love it. The best thing about it? It's absolutely free. Enjoy. 3709 Carol Rd Louisville KY 40218 is a fantastic home in Hikes Point! The property offers 3 Bedrooms, a two and a half car garage, and newer windows and roof! 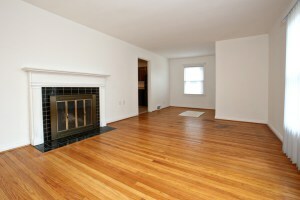 The front entrance opens to a sunny Living Room with cozy fireplace, natural light, and hardwood flooring. 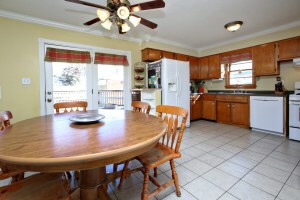 The Eat In Kitchen displays black appliances, plentiful cabinetry, and a nice dining area. 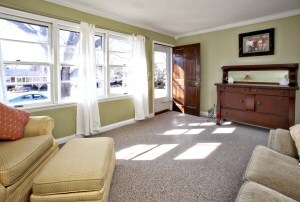 The home includes three good sized Bedrooms with hardwood flooring. The Full bath is accented by a white pedestal sink and tub/shower combo. There is also a wonderful heated enclosed porch- the perfect spot for morning coffee or gathering with guests! A Laundry Room completes the floor plan. 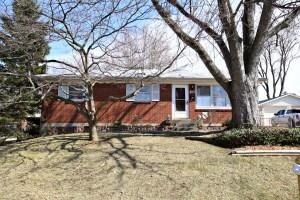 3709 Carol Rd Louisville KY 40218 also offers a fully fenced in yard with mature trees. The back yard is great for outdoor games and entertaining during the spring and summer months! Call 502-371-1173 today for further information about this home in Louisville! Perfect location and comfortable interior! 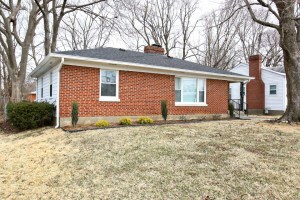 8113 Pinecastle Drive Louisville KY 40219 is a beautiful 3 Bedroom ranch home in the Friendly Hills subdivision. The front entrance opens to the Living Room with plenty of natural light, crown molding, and plush carpeting. 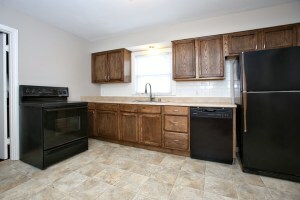 The updated Kitchen showcases ceremic tile floor, new counter tops. crown molding, pleasant dining area, and an exit to the back deck. All three Bedrooms are good sized and convenient to a Full Bath. The finished Basement includes a wonderful Family Room, Laundry, and Full Bath as well as two more completed rooms. One completed room is currently used as an additional Bedroom and one as a playroom. They could also be used as offices as both rooms have built in bookshelves! 8113 Pinecastle Drive Louisville KY 40219 received a new roof in 2012 and a new garage roof in 2014. The water heater was replaced in 2004 and the Lennox AC and Furnace in 2009. The home offers a two and a half car detached garage and large fenced in yard for outdoor enjoyment. There is also a welcoming deck area for outdoor grilling and entertaining and a fantastic shed to store lawn equipment. Call At Home In Louisville Real Estate Group today at 502-371-1173 today to learn more about this property or visit the link above for additional property information.